As the final teeth to push through your gums, wisdom molars can become an issue if they cause discomfort. Often, there isn’t enough space to accommodate them, resulting in eruption at an angle or the crowding of other teeth. 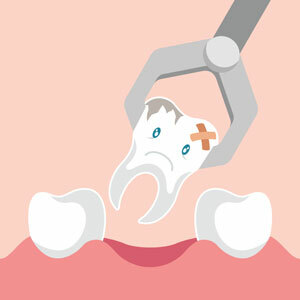 At Narre Warren Dental Care, we can assess your dental health and provide you with the information required to decide if you want to have wisdom teeth removal. We’ll discuss anaesthetic options or the necessity of emergency treatment if needed. We seek to minimise any need for surgery, and recovery times will depend on the individual situation. Without any complications, you can expect to recuperate within about three days. We’ll advise you on all necessary aftercare instructions. Contact us today to find out more about what we can do for you. Saturday appointments are available!